It has become conventionally accepted wisdom that The Empire Strikes Back is the greatest blockbuster sequel of all time, and one of the best cinematic sequels generally speaking; the only competition that springs to mind is Coppola’s The Godfather: Part II. It should come as little surprise that I’m not inclined to disagree with this assessment. The original Star Wars is one of the greatest American films of all time and a milestone in blockbuster history, but I’ve long maintained that The Empire Strikes Back is even better, and without it, I suspect the saga’s cultural impact would not have been quite so profoundly enduring. The stakes are higher and the world is expanded, but this sequel does not simply go “bigger,” trying to top its predecessor in terms of spectacle. The key to its success is that it also goes deeper, doubling down on characters and relationships that continue to grow and develop. When we’re reintroduced to our heroes, the film does an excellent job suggesting that they have lived lives and formed friendships in the years offscreen. The rapport between Han, Leia, and Luke suggests a familiarity that rings true, and we buy that these characters have become strong friends – which is crucial, because they’ll be split up for much of the film’s runtime. After the thirty-minute mark, Luke Skywalker and Han Solo won’t even share the screen together, but the depth of their connection is cemented by their last moment together: a wonderful, wordless pause where we see that both care deeply for one another, even though neither is quite able to express it. This is doubly important, because much of the film will hinge on whether their relationships will be torn apart. The stakes of the film are, overall, lower than those of A New Hope – there’s no planet-destroying superweapon here, although the vast might of the Empire as opposed to the scrappy Rebellion is dramatized perhaps even more effectively. Notice how the moment there is even a possibility that the Empire knows of their location, the Rebels immediately evacuate their base. From the beginning, there is a strong sense that the heroes are overmatched by the forces of evil, and any victory they achieve will be hard-won. There’s nothing to match the Death Star here as a singular symbol of evil, but the reveal of Darth Vader’s massive Super Star Destroyer, accompanied by the first ever use of the iconic Imperial March, is similarly striking in its imagery and sense of scale, as the other Star Destroyers are dwarfed and engulfed in shadow. Speaking of the Empire, it’s another mark of Episode V’s success that even minor characters like the series of Imperial officers Vader terrorizes have distinct motivations, personalities, and relationships. And while the stakes may be smaller, they’re felt even more viscerally because they’re intensely personal. After the initial Battle of Hoth, we see no large-scale military skirmishes in The Empire Strikes Back; instead, all the action sequences revolve around the key characters we have become invested in being confronted with danger both physical and moral. Moreover, the pace rarely lets up; within the first four minutes, Luke has been attacked by a monstrous Wampa and is in dire jeopardy. From there till the end of its runtime, a thrilling undercurrent of tension and imminent danger courses through the events – yet this briskness never becomes haste, and the nuances of character development are never lost in the name of excitement and spectacle. “What’s the matter, girl, you smell something?” Luke asks his Tauntaun mount in his first scene, moments before being rendered unconscious by the Wampa. Luke’s warning by this natural creature, referred to as a “girl,” is a clue to the way the film will progress. The unconscious, according to Jung, is often symbolized as the opposite gender, the unknown or other. Throughout The Empire Strikes Back, our heroes will be subject to urgent warnings bubbling up from their own unconscious selves – unruly desires and intimations of their own capacity for evil. “And I thought they smelled bad on the outside,” Han remarks later, upon slicing open his own Tauntaun and stuffing Luke inside to keep him warm in the winter wasteland. Already, we have a symbol of the depths that will be uncovered – Luke’s placement inside the Tauntaun’s abdomen is almost a return to the womb, an entrance into interiority. The inside of the Tauntaun smells bad, but keeps Luke safe; it is unpleasant, but life-giving, and necessary. After his famous declaration – “I am your father” – Vader exhorts Luke, “Search your feelings. You know it to be true.” Throughout Episode V, characters will be searching their feelings, and though what they find will often be painful, as in Luke’s case, the process cannot be avoided. It is inevitable, and when the heroes pass through this crucible, they will be all the better for it. Although it was only the second film released, The Empire Strikes Back does a great deal to set Star Wars’ precedent for self-referencing, with countless callbacks to its preceding installment. Yet as I’ve argued is almost always the case in these films, the references are never mere winks, but are often inversions or reversals that suggest intriguing new connotations. The very first shot reverses our expectations from the first film; there, the camera panned down and a Star Destroyer flew over it from behind. Here, the opening shot pans down to reveal a Star Destroyer coming towards us, from below. Episode IV began with scenes of droids wandering through a desert wasteland. As Episode V opens, Luke is traveling through the ice fields of Hoth, which are similarly empty but even more forbidding and ominous. When Luke escapes the Wampa’s lair, he uses his lightsaber to cut off the beast’s arm, recalling Obi-Wan’s slicing off the forearm of an unruly alien in the Mos Eisley Cantina – and, of course, foreshadowing Luke’s losing his own arm later in this film. The color symbolism of red and blue, established in Episode IV, carries over here, and is expanded on in intriguing ways. The film’s palette works broadly to suggest increasing direness, moving from the predominantly bright and blue tones of the ice planet Hoth to the red skies and dark interiors of Cloud City. Star Destroyers have blue lights for their engines, but the Super Star Destroyer has red ones, suggesting an even greater evil. Or consider the following shot, as Han and Leia verbally spar over their romantic feelings for one another. Han, the passionate one, is lit by red, while Leia, who is held back by her rational focus on the bigger picture, is lit by a blue light. The color symbolism throughout is integrated with an astonishing naturalism, a perfect middle ground between the original film’s realism and the more formal and theatrical nature of the prequels. Here, the use of color rarely calls attention to itself, but it subtly shades thematic and dramatic nuance into the proceedings. Additionally, the palette here is expanded greatly from the original film, which was more monochrome than any other installment in the series. Here we have the vivid blue of Hoth, the lush green of Dagobah, and the stunning purple and orange light of Cloud City, with its pristine white interiors slowly becoming darker and grimier as our heroes descend further into its depths. “Well, I finished my circle,” Luke says. This innocuous line, in the film’s first exchange of dialogue, will prick up the ears of those who have been tracking the visual and structural prevalence of circles throughout the Star Wars films. As far as parallels between the two trilogies go, the second installments are some of the most tightly interconnected, and looking at the ways The Empire Strikes Back mirrors its counterpart, Attack of the Clones, is particularly rewarding. The two films share several key motifs: descent into the unconscious, obfuscation visually represented by clouds or fog, and fragmentation of the heroic group. And although the plots are reversed – Clones ends with a battle mirroring the opening of Empire – the progressions of their color schemes are similar as well; both move from grey/white (clouded Coruscant, Hoth) to green (Naboo, Dagobah) to vivid red (Geonosis, Bespin). 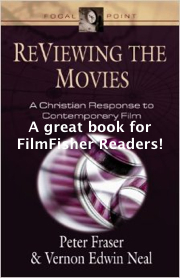 For more detailed analysis of the parallels between the two films, I strongly recommend Mike Klimo’s Ring Theory essay. “You look strong enough to pull the ears off a gundark,” Han says to Luke after the latter has healed from his injuries. This small, insignificant detail seems like a mere throwaway line, but it clues us in to the connections between the two trilogies’ middle chapters; the only other time gundarks are mentioned is early in Attack of the Clones: “I haven’t seen you this tense since we fell into that nest of gundarks.” Anakin replies, “You fell into that nightmare, Master, and I rescued you.” The discussion of dreams and nightmares, so prevalent in Clones, occurs in Empire as well, albeit less frequently. Landing on Yoda’s swamp planet, Dagobah, Luke remarks to R2, “It’s like something out of a dream… Maybe I’m just going crazy.” And of course, Han’s fate at the end of Empire is to be encased in carbonite, in “perfect hibernation” – a state of imprisonment in enforced and long-lasting sleep. 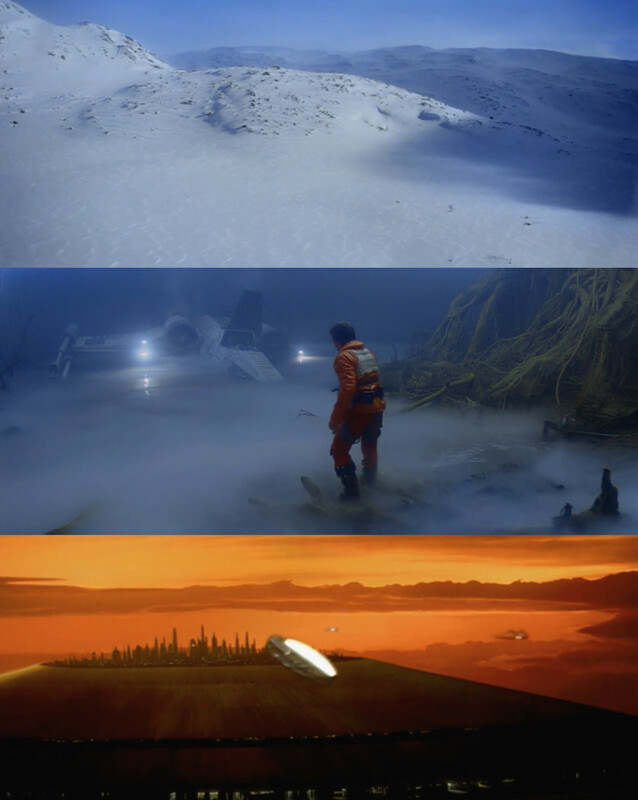 Fog and clouds were two defining visual features of Episode II, and they’re similarly prominent in Episode V. When R2-D2 and Luke land on Dagobah, R2 falls off of the X-Wing into the swamp, where he is briefly lost among water and fog before returning safely. Later, he emits a smokescreen to cover the heroes’ escape from Cloud City. In fact, the three major locations in Empire correspond to the three forms of water. The first act takes place on Hoth, an ice planet. In the second, Luke travels to Dagobah, a swamp planet – and of course, Cloud City, where the action of the third act is centered, speaks for itself. Han and Leia’s escape through the asteroid field seems to break the water-centric pattern, but when they land inside the giant space slug, the Millennium Falcon is also wreathed in fog or cloud. “There’s an awful lot of moisture in here,” Han remarks. The episode inside the space slug recalls Luke’s experience inside the Tauntaun. Again, the heroes must enter a living thing to escape hostile forces. The later incident, however, is also a descent – a motif that recurs throughout both Clones and Empire. Han and Leia mistake the space slug for a cave, but the solid ground is revealed to be unstable, part of something living and less than comforting. In Luke’s plotline, which runs concurrently to Han and Leia’s, there is a corresponding descent into the domain of the dark side, a cavern full of living creatures and plant life. Both descents yield self-knowledge – Han and Leia’s attraction builds to a head (though it is promptly and humorously blocked by C-3PO), while Luke’s vision of his own face under Vader’s helmet foreshadows the later revelation of his true parentage. As in Episode II, Episode V is fraught with instances of descent into various forms of the unconscious, where the heroes come face to face with unacknowledged parts of themselves. In the prequels, this repeated self-discovery leads to separation and continued repression, as symbolized by the secret marriage of Anakin and Padmé, or the way the Jedi remain unaware of their own role in the creation of the clone army. There, the truths about self could not be accepted and were instead displaced or denied. Here the conclusion is more ambiguous, though we’ll see that it’s ultimately hopeful. The heroes are split apart over the course of the film, but they accept the truth about themselves and their feelings towards one another. Empire, like Clones, is structured in a way that fragments its plot into various concurrent subplots, separating the characters from each other to put them through numerous challenges that they must face alone. It’s no accident that both films feature chases through asteroid fields, where they must avoid fragments of floating debris. This motif of fragmentation and separation also plays out through the various instances of miscommunication or blocked communication throughout. The asteroid field, in fact, is linked explicitly to the inability to communicate: “Move the ship out of the asteroid field,” Vader commands, “So that we can send a clear transmission.” Key scenes in the second act of both films take place in a location that blocks or hampers communication, rendering transmissions unclear or obfuscated. In one of the early scenes, C-3PO informs Han that Leia is trying to contact him: “She’s been trying to reach you on the communicator.” “I turned it off,” Han replies in true scoundrel fashion. “I don’t want to talk to her.” This lack of communication between the characters occurs throughout, which accounts for C-3PO’s particularly agitated state in the film. After all, he is “fluent in over six million forms of communication,” and his primary function is to act as an interpreter or mediator. His entire purpose is to help people talk to each other. Perhaps it’s little surprise, then, that he spends much of the film’s runtime being left behind, shut down, or otherwise treated as a nuisance. When the heroes arrive on Bespin, he is actually separated from the others and blasted into fragments, which are only reassembled at the film’s end. 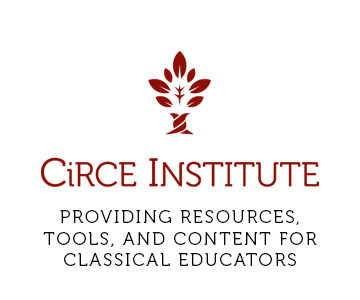 These essays have primarily focused on the journeys of Anakin and Luke Skywalker, whose progressions from adolescence to adulthood form the central arc of Lucas’ saga. However, in The Empire Strikes Back perhaps more than any other Star Wars film, the supporting characters are given equally weighty development. Here, Han Solo, Princess Leia, and even Lando Calrissian (Billy Dee Williams) are given strong dramatic arcs that inform the film’s themes as strongly as Luke’s. In my essay on A New Hope, I noted that Han was positioned primarily as a contrast to Luke, with his skepticism of the Force pitted against Obi-Wan’s teachings. However, it’s important to realize that he also experiences a moral awakening and chooses to act against evil in the film’s climax, setting him on a path parallel to Luke’s. In Empire, we see that Han, too, is making a movement towards maturity – one that looks similar to, but distinct from, Luke’s. Like Episode II, Episode V splits its heroes into two groups for its second act, splitting screentime between two concurrently running plotlines. In both cases, one plot is a romance, and the other is a mystery. Ironically, while Episode II’s romance subplot may be the single most derided stretch of cinema in Star Wars history, its mirror image in Episode V is widely regarded as one of the saga’s most compelling. 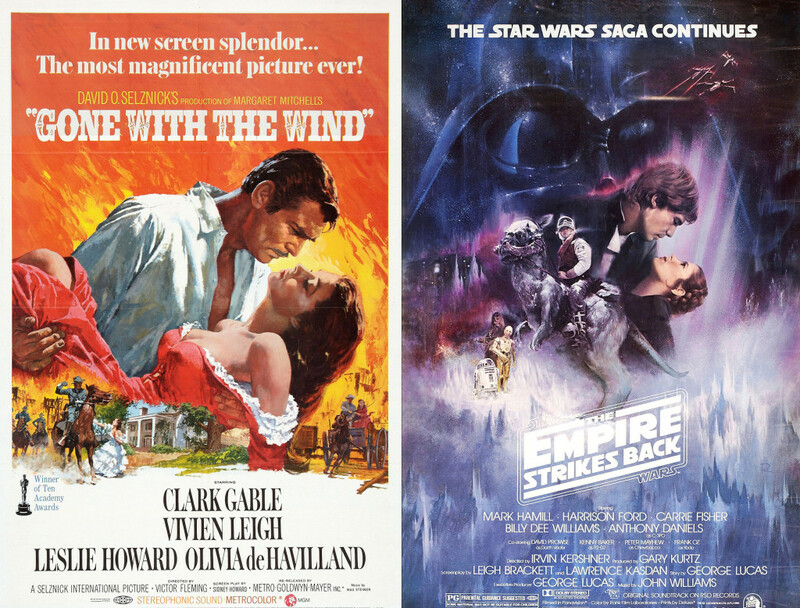 It’s no mere coincidence that Williams’ sweeping love theme for Han and Leia is one of his most beloved and recognizable compositions, or that posters for The Empire Strikes Back pay obvious homage to the iconic image of Scarlett O’Hara and Rhett Butler from Gone With The Wind, one of cinema’s most ubiquitous romances. In Attack of the Clones, Anakin and Padmé were two star-crossed lovers torn apart by external factors that made their relationship untenable, forcing them to repress their feelings. Here, the dynamic is inverted in many ways; Han and Leia are a pair of bickering lovers, more akin to Much Ado About Nothing’s Benedick and Beatrice than Romeo and Juliet, insulting each other at every turn in a game of verbal one-upmanship – and while Anakin and Padmé’s love was forbidden by the norms of a society that tried to keep them apart, Han and Leia are forced together by external circumstances until they ultimately reach the point of declaring their love for one another. When the film begins, though, the romance between Han and Leia is blocked by both parties’ unwillingness to reveal their true selves, and they seem to be opposed in almost every way. During their first conversation, Han wears a dark jacket while Leia is clothed almost entirely in white; he is lit by red light, while she is lit by blue. Han is governed by passion, more pragmatic than idealistic; Leia is governed by reason, and doesn’t acknowledge her passions. They start at opposite extremes and meet in the middle – on Bespin, Han symbolically loses his dark jacket to reveal the white shirt underneath. Han, who practices a façade of emotional detachment for the sake of self-preservation, intends to leave the Rebellion because of the bounty Jabba the Hutt has placed on his head. Leia, who must act as a leader and authority figure, denies that she harbors romantic feelings towards Han, alleging that she would “rather kiss a Wookiee” and even going so far as to kiss Luke instead – providing Mark Hamill with one of the series’ all-time great reaction shots. The banter between the two is telling; Han constantly refers to Leia by various mockingly exaggerated titles – for instance, “Your Highnessness.” “Will you please stop calling me that?” she asks, exasperated. He replies, “Sure, Leia.” This move to a first-name basis is a key step in the progression of their relationship. Within the context of the Rebel military installation on Hoth, Leia is defined by her role as a princess and leader, and Han is similarly pigeonholed into a role which does not satisfy him. “You’re a great help to us,” Leia says. “You’re a natural leader.” Elsewhere, a Rebel general says, “You’re a great fighter, Solo. I hate to lose you.” By throwing in his lot with the Rebellion, Han has progressed idealistically and joined a morally righteous cause, but he still longs for personal gratification. Leia, in contrast to both Han’s cynicism and Luke’s sentimental attachment, puts the welfare of the Rebellion above her own needs. When Luke and Han are caught outside in the storm and the Echo Base gate needs to be closed (another key instance of separation), Leia is reluctant but ultimately willing to sacrifice her friends for the sake of the base’s safety. The romance between the two only blossoms when fate forces them away from the rest of the Rebellion and out of the positions that have defined them. Throughout this plotline, circumstances seem to conspire to push the two lovers together; during the escape from the Hoth base, a tunnel caves in and blocks the path to Leia’s ship, forcing her to leave with Han on the Millennium Falcon. During their flight from the Empire, they must enter the asteroid field – as noted, a symbol of miscommunication, through which any relationship must be tested before it can grow stronger. When they take refuge on an asteroid – unbeknownst to them, inside the belly of a giant creature – the Falcon shifts, quite literally sending Leia falling into Han’s arms. Leia is more of an idealist, but on Cloud City, she uses her feelings and intuition, repeatedly warning Han that something “doesn’t feel right” – and when he is taken away by Boba Fett, she rushes to save him. However, she is still heady enough to hold herself back when feelings almost carry her away – she approves when an outraged Chewie tries to strangle the treacherous Lando, but is also willing to listen to him and believe his change of heart. In the end, because of the way she has developed an awareness of and sensitivity to her feelings, she is able to respond to Luke’s call through the Force and save him. The romance subplot comes to a head in the now-iconic carbon freezing chamber scene. The heroes have been captured by Darth Vader and the Empire, and Han is to be frozen in carbonite to test the process before it’s used on Luke. Faced with the possibility of his impending death, Han rises to a true willingness to think past himself. When Chewie tries to save him by attacking the Stormtrooper guards, Han stops him: “Save your strength… the princess… you have to take care of her.” Han’s self-sacrifice and denial of his own passions prompts Leia to give voice to hers; “I love you.” Han’s immortal response – “I know” – is a rational declaration, as knowledge, of course, is the province of reason. While Han and Leia’s arcs are deeply informed by each other, forming a pair of inverted mirror images, Han’s development is also mirrored in the character of Lando. “He’s a scoundrel, like me,” Han says, and the two characters are explicitly set up as reflections of each other, with both scoundrels starting from similar vices and moving towards virtue over the film’s runtime. Lando, like Han, is a denizen of the galaxy’s criminal underworld, and Kasdan’s screenplay tantalizingly suggests a complicated history between them. Both are wisecrackers who attempt to woo Leia. Both own the Millennium Falcon at different points, and in the end, Lando even wears clothes that look exactly like Han’s outfit from A New Hope. The similarities are even present in more minute and humorous details, like the way both disdainfully ignore C-3PO when first introduced to him. In Attack of the Clones, one sign of Anakin’s stunted development is the way he deals with difficulties by shifting responsibility away from himself: “I don’t have a choice,” he says to Padmé. Throughout The Empire Strikes Back, we see Han and Lando demonstrating similar immaturity. “It’s not my fault!” Han complains when the hyperdrive on the Falcon fails to work. Later, in a similar situation, Lando exclaims, “They told me they fixed it! I trusted them! It’s not my fault!” Lando, like Tarkin before him, is appalled when people betray him, despite his own untrustworthiness – and like Han and Anakin, he shifts the blame to others. “Lando’s not a system, he’s a man,” Han clarifies to Leia when they first decide to travel to Bespin. This line is a perfect encapsulation of Lando’s arc. When we meet him, he is trying to be part of the system, but his humanity ultimately wins out. In their journeys to self-discovery, Lando and Han are inversions of Luke and Leia. As a general rule, Anakin’s two children have a good sense of right and wrong; their ideals are good, and their unacknowledged passions are what trip them up. Luke’s journey through the original trilogy is to conform his unruly appetites, his shadow side, to the truths he intellectually assents to. Han and Lando, on the other hand, are led astray by misguided ideals – the belief that self-preservation is the highest good, the materialistic sense that wealth is what merits pursuit. Yet when it comes down to it, both of these scoundrels want to do the best they can. Their heads are bad, but their hearts are good. Like Luke, they must unlearn what they have learned. While it’s easy enough to see the parallels between the romantic subplots of Episode II and Episode V, the correspondence between the respective plotlines of Obi-Wan and Luke is harder to pin down, not least because some elements are shuffled between the two films. Han and Leia are the ones who travel through the asteroid field and deal with Boba Fett in Empire, but it is Obi-Wan who pursues Jango Fett through the asteroid belt in Clones. Moreover, Cloud City, which bears a striking visual similarity to the cloners’ city on Kamino, figures more prominently in Han and Leia’s plot than Luke’s. Luke’s excursion to Dagobah centers the film on the recurring conflict between nature and technology – which, here, is also tied to the conflicts between spirituality and materialism, between the conscious and the unconscious. In my essay on A New Hope, I noted the ways dichotomies were often complicated – nature, for instance, is not straightforwardly good, while technology is not straightforwardly evil. The Empire Strikes Back is even more thorough, setting up a series of contrasts and then introducing complexities to each one. In A New Hope, the Rebellion was positioned as a repressed element, clashing against the dominant central power of the Empire. The Rebels were comprised of outcasts and underdogs, and the Imperials were organized and authoritarian. Here, the Empire has a similar tendency towards incompetence and ineptitude – most of the officers we see are too hubristic, and therefore blind – but proves to be truly menacing under the command of the more fearsome and perceptive Darth Vader. In A New Hope, the galactic underbelly was generally on the side of the Rebellion, or at least had no love for the Empire, but here Vader presses Lando and the bounty hunters into his service, assimilating more and more of the elements that were previously repressed. However, the Rebellion also assimilates elements of the Empire – by the film’s end, having been forced to abandon their base on Hoth, the Rebels are operating as a fleet of grey starships, as thoroughly technology-based as the Imperial fleet we’ve seen elsewhere. The film’s first images frame the ice planet Hoth as a battleground between technology and nature, in the form of a menacing probe droid and good guys mounted on Tauntauns. The officers of the Imperial military, with their reliance on technology, operate empirically, wanting material certainty. “I want proof, not leads,” spits the ill-fated Admiral Ozzel. But the imagery of technology is distributed across both sides, and to varying effects. After his experience inside the Tauntaun, Luke is healed by technology, floating in a bacta tank and watched over by a medical droid. The imagery of Luke floating in fluid, wearing a diaper, with a cord trailing from his mouth, suggests an infant in a kind of artificial womb – a rebirth of sorts. Technology, so often associated with the bad guys, is reclaimed by the good guys throughout The Empire Strikes Back – as when Yoda raises Luke’s X-Wing from the swamp, or when Chewbacca rescues C-3PO from the smelting chamber on Cloud City. Lando’s right-hand man, Lobot, has cybernetic implants in his head, which initially suggest an ominous quality – but he is crucial in helping the heroes escape during the film’s climax. Technology is often helpful and beneficent, and nature here is often hostile and threatening, as when the bat-like Mynocks attack the Millennium Falcon, or when a creature in the Dagobah swamp tries to eat R2-D2. However, for all its good uses, technology frequently proves insufficient to solve the heroes’ problems. During the attack on the Hoth base, Luke’s co-pilot Dak is killed when a control panel overheats and explodes in his face. The Millennium Falcon is constantly breaking down, and throughout the climactic sequence, doors are constantly closing automatically – sometimes separating the good guys from the bad, but often separating them from each other, as when Luke is separated from R2-D2. Technology is not inherently evil, but the heroes must learn not to rely on it; Han’s affection for the Millennium Falcon must be eclipsed by his love for Leia. Luke rightly refuses to abdicate responsibility to technology: “That’s all right,” he tells R2-D2 when traveling to Dagobah. “I’d like to keep it on manual control for a while.” Luke’s arrival on Dagobah is heralded by another instance of technology’s inadequacy, as he promptly crashes his starfighter into a swamp – a violent descent into water, the unconscious. “I’m not picking up any cities or technology,” Luke says to R2-D2 when scanning the planet. “Massive lifeform readings, though. There’s something alive down there.” At the climactic moment of A New Hope, Luke put his trust in the Force, rather than his targeting computer. Here, to continue his training as a Jedi, he must go to a place without technology, descending into nature and the primal, uncivilized unconscious. In many ways, Luke’s journey to become a Jedi in Episode V is a very natural progression of his journey in Episode IV. Obi-Wan, who was only present as a disembodied voice after his death in A New Hope, here appears as a shimmering blue ghost, appearing to give Luke guidance when he needs it. Yoda, like “Old Ben,” employs the façade of a harmless, crazy old hermit, appearing to be one thing when he is, in fact, another. His explanation of the Force recalls Obi-Wan’s account in the previous film: “Life creates it. Makes it grow. Its energy surrounds us, and binds us.” Obi-Wan’s teachings emphasized tradition and an emphasis on the spiritual over the physical. Yoda’s teaching in The Empire Strikes Back continues this trajectory, while adding a component of self-discipline. At the same time, Yoda, like Obi-Wan, has learned and grown in his exile. He teaches Luke not to be overly concerned with material things, but unlike the Jedi of the prequels, he does not swing to the opposite extreme of neglecting them. Before he reveals his true identity to Luke, he offers to feed him. “For the Jedi it is time to eat as well!” he exclaims, when Luke, in his impatience, wants to skip past this meal, and frowns when it doesn’t taste good. Far from ignoring the appetites as the old Jedi Order did, Yoda now seems to view the material world not simply as an obstacle to be surpassed, but a medium to be mastered, through which the spiritual world can be accessed. The Force is not a lofty, abstract concept to be acknowledged with one’s head; it must also inform one’s corporeal actions. In one striking edit, Han rides out of the snowstorm through Obi-Wan, uniting the idea of spiritual guidance with tangible, physical help. In contrast to Obi-Wan’s exhortation from Clones – “Use the Force. Think.” – Yoda tells Luke to “feel it,” emphasizing a supernatural sense of something beyond the physical, beyond mere sensuality or rationality. “You must feel the Force around you,” he urges. While the Jedi of the prequels betrayed their calling by becoming generals in the Clone Wars, Yoda responds to Luke’s description of a “great warrior” with humble irony: “Wars not make one great.” And while Yoda stoically counseled Anakin not to mourn those he loved, he informs Luke, “Through the Force, other things will you see. The future, the past. Old friends long gone.” The Force is beyond time and space, but the mention of “old friends” suggests a more hopeful vision of individuals living on after death, not simply a pantheistic idea of becoming one with the impersonal Force – and although he will emphasize the importance of sacrifice, Yoda does not emphasize detachment from friends and family the way the Jedi of the prequels did. Luke, of course, is slow to learn. “Moving stones around is one thing,” he complains when Yoda tells him to raise the X-Wing from the swamp. “This is totally different!” His perception of the universe is still limited to appearances. He has not fully understood the spiritual dimension of the Force, and its superiority over the material. “Luminous beings are we,” Yoda says, pinching Luke’s shoulder. “Not this crude matter.” Luke is at once too idealistic and too materialistic; he harbors grandiose desires for good things, but is too impatient to really work at virtue. He has a belief in the Force, but it is immature and untested, susceptible to his appetites. “Now all we have to do is find this Yoda… if he even exists.” Luke has faith, but it is shaky, and easily tested when things become difficult. He is prideful; when Yoda, still in the guise of an old hermit, offers, “Help you I can,” Luke responds dismissively: “I don’t think so.” Yoda’s disapproving face reveals his disappointment in Luke’s immaturity. Earlier I noted that by hiring bounty hunters, the Empire co-opts the nonconformist elements that previously characterized the Rebellion. Even more significant and troubling, though, is the fact that Darth Vader co-opts the spirituality that was previously associated almost exclusively with the good guys – Obi-Wan and the Jedi. One of the most frightening moments of the climactic duel between Luke and Vader comes when the Dark Lord uses the Force to hurl objects at the young Jedi-in-training. There was something heartening about the way material evil was rendered insignificant by spiritual good in A New Hope, but here Luke comes face to face with something altogether different and far more threatening: spiritual evil. “How will I know the good side from the bad?” Luke asks during his training. “You will know,” Yoda replies, “When you are calm, at peace.” Emotions are not something to be eschewed entirely, but they do cloud one’s judgment, and throughout The Empire Strikes Back, Luke must decide whether or not to trust his feelings, as the Dark Side becomes increasingly prominent and seductive – it is the “quick and easy path,” according to Yoda, a contrast to the rigorous discipline a Jedi needs. “A Jedi uses the Force for knowledge and defense,” Yoda says. “Never for attack.” Throughout Episode V, Luke’s first, instinctive reaction is to attack. “I feel the Force,” he appeals to Obi-Wan, relying on the intuitive component of the Jedi training. But feelings can be deceptive. “But you cannot control it,” Obi-Wan replies. “This is a dangerous time for you, when you will be tempted by the Dark Side of the Force.” Yoda and Obi-Wan act as Luke’s mentors, but the path of the Jedi is not the only path that is presented to him. The alternate path, of course, is the one Luke thinks he has been following all along – the path his father took. “Mostly because of my father, I guess,” he answers, when queried as to his motivations for becoming a Jedi. “Powerful Jedi was he,” Yoda replies, not without irony, and ironically, this is what sets Luke off into a tantrum. “Oh, come on. How could you know my father? You don’t even know who I am.” The truth, of course, is that Yoda knows Luke better than he knows himself, and certainly knows more about his father. The revelation that Vader is Luke’s father is rightly lauded as one of the great cinematic plot twists, a surprise of such shocking magnitude that it retroactively deepens and complicates all that came before. The moment is so iconic that even those who haven’t seen the film know about its secrets – but because Luke’s journey in The Empire Strikes Back is so well constructed, it’s almost easy to forget and be caught up in the shock of the moment all over again. However, watching the film with this knowledge in mind, one can see that the story is structured around the parallel journeys of father and son. The first time we see Luke, he reveals his face by pulling off his mask. This unmasking motif will be repeated in Vader’s plotline, both literally, as we see him without his gleaming black helmet, and symbolically, as he reveals himself to Luke. The first shot of Vader looks at the back of his head. In A New Hope, we almost only saw the front of Vader’s imposing façade, the mask Anakin has fashioned for himself. Here we immediately get a new angle and a new visual language, something at once imposing, intimate, and more than a little contemplative. The opening crawl informs us, tellingly, that the Dark Lord is “obsessed” with finding the young Skywalker, and although key information about the exact nature of this search is withheld from us throughout, we still see more of Vader in this film than its predecessor, as he has his own plotline progressing alongside those of Luke, Han, and Leia. In A New Hope, Vader acted primarily on the orders of others – he was subordinate to Tarkin, and protected the Death Star because of his allegiance to the Empire. Here, his quest for Luke is intensely personal. Director Irvin Kershner teases out more and more of Vader’s true self as the film goes on, in the brief glimpse by Admiral Piett of his scarred head under his helmet, and by subtly placing father and son in similar compositions or situations. An early image sees Vader enclosed in his own artificial technological womb, recalling Luke inside the Tauntaun, or his subsequent immersion in the bacta tank. Near the film’s beginning, Luke cuts off the Wampa’s hand, while near the film’s end, Vader cuts off Luke’s hand. And like his son, Vader spends the film searching for an elusive target. 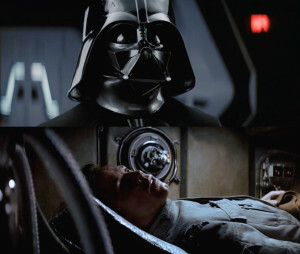 In its broad strokes, Vader’s arc in Episode V even mirrors his arc in Episode II: there, he was tempted away from the Jedi Order by his love for Padmé, while here, he is tempted away from the Empire by his love for Luke. This will become clearer in Return of the Jedi, but it’s all there in the way he pleads for Luke’s life when speaking to the Emperor: “He’s just a boy.” Vader longs to find Luke, but he does not want to destroy him; he tells the Emperor he wants to train him, to turn him to the Dark Side so he can be used as an “asset.” However, when he confronts Luke, another layer of motivation is revealed. “We can rule the galaxy as father and son,” he says, recalling an offer he once made to Padmé – “I am more powerful than the Chancellor. I can overthrow him, and together you and I can rule the galaxy, make things the way we want them to be.” Vader longs for control, but he is also desperately lonely, longing for companionship – to share his power with those he loves, even as his pursuit of power paradoxically pushes them away. Although father and son are present throughout the film, they do not appear onscreen together until more than an hour into its runtime, during Luke’s descent into the Dark Side, as symbolized by his vision in the cave on Dagobah. Even then, Vader is not literally, physically present. Yoda describes the cave in vague, deeply unsettling terms, suggesting that what takes place there will carry great significance. It is a “domain of evil,” a “place strong with the Dark Side.” Yet Yoda cannot spare Luke; he tells the boy he must enter. The cave, as contrasted with the Empire as a representation of technological evil, is natural, even visually similar to the Rebel base on Yavin IV – ancient stone structures overgrown by moss, populated by snakes and lizards, creatures with evil connotations. “What’s in there?” Luke asks. “Only what you take with you,” Yoda answers. The cave is a place of self-knowledge, where Luke must discover his own capacity for evil and violence. Yoda tells him he will not need his weapons, but he brings them anyway, relying on material force for self-preservation. Here is our first inkling that Luke and Vader are linked on a deep level – father and son are the same, or perhaps more accurately, the son runs a mortal risk of becoming like the father. In Attack of the Clones, Anakin descended into the Tusken Raider camp and slaughtered them with his blue lightsaber, giving into his rage over the death of his mother. Here, Luke – still believing that Vader killed his father – is overcome with a similar desire to avenge a parent’s death. Like Anakin, Luke’s first instinct is to attack, despite Yoda’s exhortation that Jedi do not act out of aggression. Luke draws his lightsaber first, and after a brief fight, strikes off Vader’s head. In a horrific moment, though, Vader’s mask breaks to reveal Luke’s own face, with smoke streaming from one eye socket. In beheading Vader, Luke has severed his own head, half-blinding himself, cutting himself off from reason and acting blindly, out of passion. 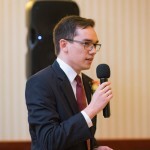 The traits he has inherited foreshadow his familial connection to his enemy. When father and son finally meet, they do so in the carbon freezing chamber on Bespin – where the truth about the film’s other key relationship, that of Han and Leia, was revealed mere minutes earlier. Upon entering the chamber, Luke puts his gun away; he has taken Yoda’s teaching to heart and learned from his earlier mistakes, at least a little bit. Compare this to Anakin, rushing to confront Count Dooku at the end of Attack of the Clones: “I am a slow learner.” Unfortunately, Luke still draws his lightsaber first when Vader appears, and the following duel does not go well for him. “The Force is strong with you,” Vader says, “But you are not a Jedi yet.” Like so many fathers, Vader wants to mold his son into a mirror image of himself: as the fight goes on, he goads Luke, “Release your anger. Only your hatred can destroy me.” The threat of physical harm during the duel is viscerally felt, but it is perhaps secondary to the moral threat posed by Vader’s temptations, as Luke teeters on the edge of abandoning the Jedi way. While Yoda and Obi-Wan urged Luke to control his passions, Vader appeals to them: “Search your feelings. You know it to be true.” He lures Luke to Cloud City by capturing Han and Leia and torturing them, reaching out to Luke through the Force by playing on his feelings for his friends. Luke leaves Dagobah before his training is complete because he fears his friends will die, but the old Jedi Knights urge him against this: “If you leave them now,” Yoda says, “Help them you could, but you would destroy all for which they have fought and suffered.” Obi-Wan and Yoda argue that Luke should focus wholly on becoming a fully trained Jedi and stopping Vader and the Emperor, even if it means sacrificing Han and Leia. However, the overall arc of the series leads one to question whether Yoda’s dire warning is accurate; he seems to be drawing a false dichotomy. Luke’s early departure from Dagobah brings pain upon himself, yes, but nothing like the destruction of the Rebellion results from it. In fact, the unpleasant realization that Luke is Vader’s son is instrumental in forming him to maturity. It is a harrowing trial, but a necessary one. After besting Luke in combat, the father tempts his son the way he himself was tempted by Palpatine: “We can end this destructive conflict and bring order to the galaxy.” He promises physical goods – power, safety – and appeals to Luke’s desire to follow in his father’s footsteps, a familial connection that, while not strictly speaking material, is a biological relationship as well as an emotional one. Vader attacks Luke’s body and spirit simultaneously, casting doubt on the path proposed by Yoda and Obi-Wan; when he cuts off Luke’s hand, Luke also loses Anakin’s old lightsaber. This loss is highly symbolic, as the truth about Luke’s parentage cuts at the heart of why he wanted to become a Jedi in the first place. Obi-Wan presented Anakin’s blue lightsaber to Luke to inspire him to become a Jedi like his father, but when Luke loses the lightsaber and learns of Vader’s true nature, the entire framework of his journey is challenged. The Jedi inspired Luke with promises of a grand destiny and a key part to play in the drama of the universe, but Vader makes conflicting claims about Luke’s fate: “Your destiny lies with me, Skywalker,” he says, in a line that can be read two ways. Is it Luke’s destiny to follow his father, Skywalker? Or is his destiny to follow a different path and redeem the family name? Of course, Luke has made his choice, and he escapes with the others aboard the Millennium Falcon. When we first saw Vader, we were looking at the back of his head. His last appearance mirrors that shot, but this time he turns to face us. The last time we see Vader in The Empire Strikes Back, he is walking away alone, in quiet defeat. While he has spent much of the film taking out his anger on his Imperial subordinates, here he refrains from killing the visibly worried Admiral Piett. His anger is simmering and quiet, suggesting something much more complicated, almost wistful. He has lost his son. Luke, meanwhile, has become more like his father. In the film’s final scene, a medical droid outfits him with a mechanical hand, much like the one Anakin received at the end of Attack of the Clones – a reminder of the kinship between father and son. The act of making Luke whole again at once draws an ominous association. Lando, now one of the heroes, is setting out with Chewbacca to search for Han, and Leia, C-3PO, and R2-D2 watch over Luke while he convalesces. “We’ll meet you at the rendezvous point on Tatooine,” Luke tells Lando and Chewie, as they plan to save Han Solo – an ironic counterpoint to his declaration in Episode IV, “I’m never coming back to this planet again.” Instead of selfishly running from his past, as Anakin did, Luke is going to confront it for the sake of his friends. Episode V ends with an inversion of Episode II’s conclusion. There, the good guys seemed to have won, but emotional bonds were broken and truths were suppressed. Here, the good guys have lost, for now; they have barely escaped with their lives, and have been separated and scattered across the galaxy. Despite this physical separation, though, they are united more strongly than ever. Painful truths have come to light, but instead of denying the truth or feeling from it, the heroes have accepted it. This self-knowledge, though hard-won, has begun to make them whole and prepare them for the future – a future they can look to with the hope of restoration.